CHICAGO -- Founder of Bump Club and Beyond Lindsay Pinchuk gives Windy City LIVE the exclusive first look at the 2015 Holiday Gift Guide. If you're looking for a great gift for a mom or mom-to-be, you've come to the right place. 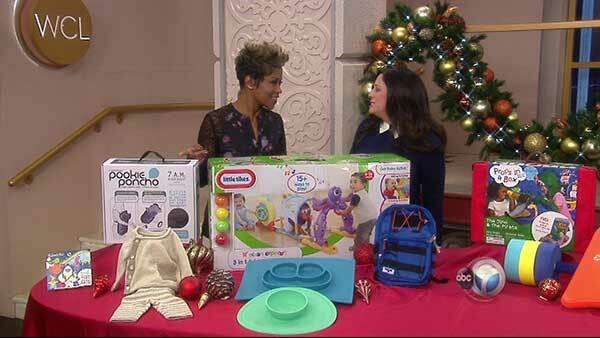 Lindsay Pinchuk shares her top picks for babies, kids and parents this holiday season. Gifts for kids from Bump Club and Beyond. Gifts for the whole family from Bump Club and Beyond. Shop all the products featured in the Bump Club 2015 Holiday Gift GuideHERE. Join Bump Club and Beyond Thursday night at the Land of Nod for their 4th Annual BCBazaar! Eat, drink and SHOP The Land of Nod AND a dozen local stores and brands at a discount! 100% of your $10 registration fee goes to charity the Share Our Spare, More than Milk and New Moms Inc.
Fore more information about the event, visit www.eventbrite.com. Want your chance to win everything you saw on the show today? Enter to win here.